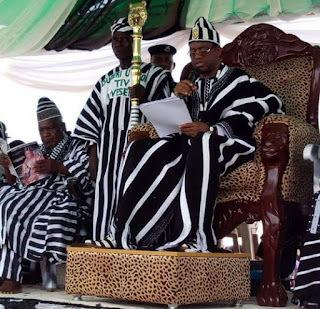 His Royal Majesty Prof James Ayatse (The Tor Tiv) has alleged that the killings of Benue indigenes in the New Year attacks were signs of an ethnic cleansing agenda. 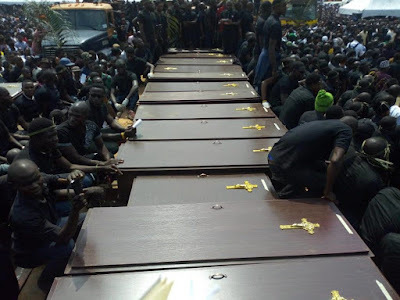 The Tor Tiv said this on Thursday in Makurdi during the requiem mass for the mass burial of 73 people killed by herdsmen on Jan.1 in Guma and Logo local government councils. He said the persistent attacks on Benue communities were worrisome, especially since the federal government failed to prevent re-occurrence. He said the herdsmen have attacked Benue 47 times in five years, attacks, he said were akin to an agenda of genocide. He encouraged Gov Samuel Ortom to stand firm in his resolve to implement the anti open grazing law, no matter the threats from the Miyetti Allah Kautal Hore. The paramount ruler called for prayers for the dead and appealed to the media to report the carnage that had befallen the state. An elder statesman and Second Republic Minister of Steel and Industry, Mr Paul Unongo, sounded a strong warning to the aggressors saying ” enough is enough”. He said the people of the state who fought in the civil war to sustain the unity of Nigeria, would not continue to allow invaders to kill and maim their people if the Federal Government failed to protect them. Earlier in his funeral oration, the Catholic Bishop of Gboko Diocese, Most Rev. Williams Avenya, prayed for the repose of the souls of the dead and called for prayers for the survivors of the attacks. He regretted that despite the massive support the people gave to the APC at the federal level, all they could receive in return were the 73 corpses of their beloved ones murdered in cold blood.